Jack Ross discusses the future of midfielder Lee Cattermole with Sunderland in talks with Bordeaux over a loan deal. 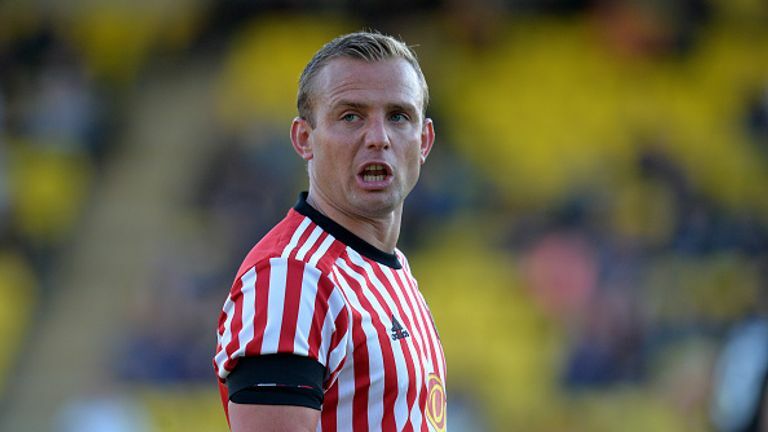 Bordeaux are in talks with Sunderland over a loan deal for midfielder Lee Cattermole. The 30-year-old is one of the club's highest earners and has just under three years left to run on his current contract. He made his first appearance of the season last Saturday as a substitute in the 1-1 Sky Bet League One draw at Luton. Cattermole is currently Sunderland's longest-serving player having joined from Wigan in 2009. He has since featured over 200 times for the club. Ronaldo up against Sunderland youth? Sunderland are also open to offers for Bryan Oviedo - another of the club's highest earners - as well as Didier Ndong and Papy Djilobodji. Oviedo has featured in Sunderland's opening two matches, however Ndong and Djilobodji have not returned to training since the summer.